Bhòt muinntir Àird Ùige ann an Leòdhas airson seann làrach an RAF san sgìre a cheannach. 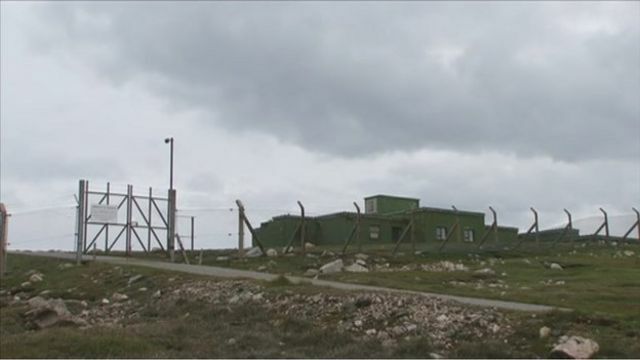 Thogadh an stèisean radar air Gob a' Ghallainn bho chionn 60 bliadhna airson sùil a chumail air na Ruiseannaich. Tha a' choimhearsnachd a-niste airson ionad a chruthachadh far am faod daoine a bhith ag èisteachd ri mucan-mara a' seinn. Ach mus tig sin gu buil bidh aca ri suas ri £500,000 a lorg airson an làrach a ghlanadh.